The Kinnickinnic River (the “Kinni”) is an Outstanding Resource Water and one of the best trout streams in the Midwest. Two dams disrupt a full mile of the Kinni in the heart of River Falls, Wisconsin, destroying habitat and warming the river by more than 4.5 degrees Fahrenheit. Removing these dams would revitalize and restore the Lower Kinni’s cold water habitat, resurrect an entire mile of this world class stream, and fully restore the historic Junction Falls waterfall in the heart of the city. The City of River Falls must remove these dams before the river deteriorates under another 20 or more years of hydropower operation. Take action: Urge the City of River Falls to remove it’s two dams and restore the Kinnickinnic River to its natural state. The Kinnickinnic River is the last major tributary to the Wild and Scenic St. Croix River before its confluence with the Mississippi River. The Lower Kinni drops over 70 feet through a deep gorge, giving visitors a unique wild experience in the Minneapolis-St Paul metro area. 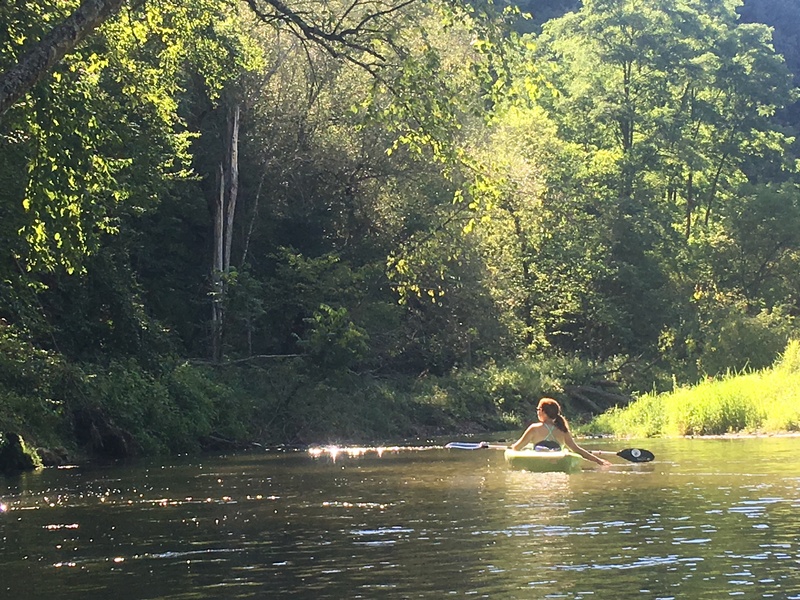 The Kinni is an extremely popular kayaking and trout fishing destination, drawing people from across Wisconsin and the Midwest to recreate on the free-flowing sections of the river. This river anchors the local community’s identity as the City of River Falls. The Kinni’s entire watershed lies within the Twin Cities metro area, which has a population of over 3.5 million in the fastest growing county in Wisconsin. The river is also home to three endangered mussel species: Higgins eye pearlymussel, spectaclecase mussel and snuffbox mussel. 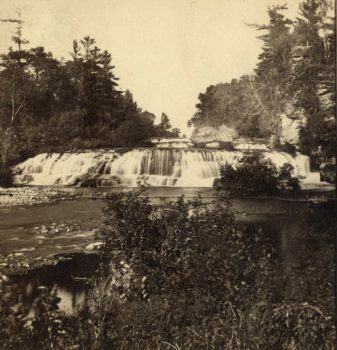 Two dams disrupt a full mile of the Kinnickinnic in the heart of River Falls, which in the absence of the dams would feature a beautiful drop of cascades and waterfalls. The Upper Dam destroys the falls, diverting all of the water from the Kinni’s banks where the dry ledges of the waterfall sit today. 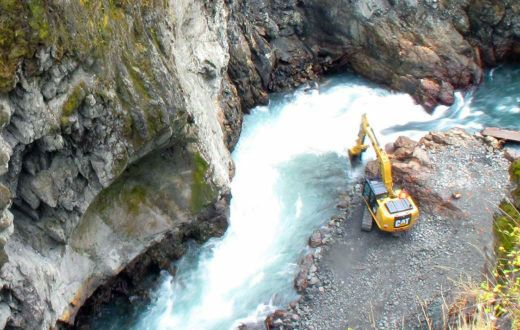 The two dams on the Kinni support an outdated hydroelectric facility that causes fluctuations in flow, increases in water temperature, and directly impacts trout, macroinvertebrates, mussels and other wildlife. The hydroelectric facility currently produces less than 2 percent (0.375 MW) of the electricity for the City of River Falls with a population of 15,000. The power could easily be replaced with conservation and efficiency measures. These dams do not provide recreation opportunities, flood control, irrigation, water storage, water supply, drinking water, navigation, quality fish habitat or aesthetic appeal. Further, the dams compound the impacts of increasing development and agricultural ground water depletion throughout the watershed. Dam operations cause significant flow fluctuations in the Lower Kinni that stress vital reproductive sites for macroinvertebrates and trout. There is also a well-documented annual warming trend of the Kinni recorded since 1992, and the Lower Kinni is 4.5 degrees Fahrenheit warmer downstream of the dams than above the dams— a result of thermal pollution from the impoundments. The combination of broader climate trends in warming and warming caused directly by the dams presents an alarming threat to the sustainable future of the river. 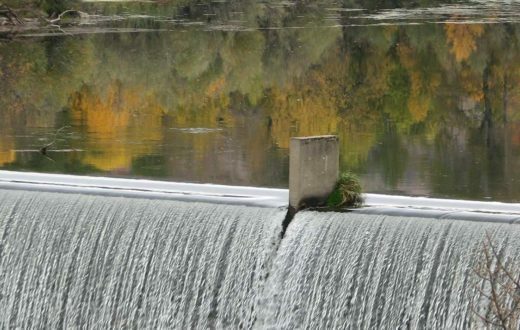 The future of the Kinni is uncertain because the City of River Falls is considering relicensing this hydroelectric facility with the Federal Energy Regulatory Commission (FERC) for continued operation of the Upper Dam through the year 2040. The City Council passed a non-binding resolution on February 27, 2018, establishing a policy framework that acknowledges the fact that both dams should be removed from the Kinni. However, their current plan is to remove the Lower Dam in 2023 and postpone the removal of the Upper Dam until a target date of 2040. This more than 20-year delay in the complete restoration of the Kinnickinnic River is unacceptable. The Kinnickinnic River dams must be removed in order to achieve Wisconsin Department of Natural Resources’ (DNR) goal of providing optimal temperatures for cold water trout habitat in the Lower Kinni. In 1998, Wisconsin DNR’s Kinnickinnic River Priority Watershed Report concluded that, “In order to achieve this long-term goal it would likely be necessary to alter, modify or remove the Kinnickinnic River impoundments in River Falls.” If the dam relicensing moves forward, it will be more than 40 years until potential restoration from the time of this report. The time to restore the Kinnickinnic River is now. We cannot wait another 20 or more years to restore this special place and expect that the quality habitat that exists outside of the impoundments today will be attainable in the future. 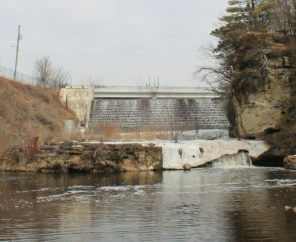 The City Council of River Falls must vote to remove both of these dams now before this opportunity passes by. Splitting the restoration of the Kinnickinnic River through dam removal into two projects, separated by two decades, will allow the continued degradation of this beautiful river and miss an amazing opportunity for our community to restore this river now. The removal of these dams will restore a full mile of the Kinnickinnic’s most scenic terrain, and is key to the preservation of the cold-water resource that is the Lower Kinni. 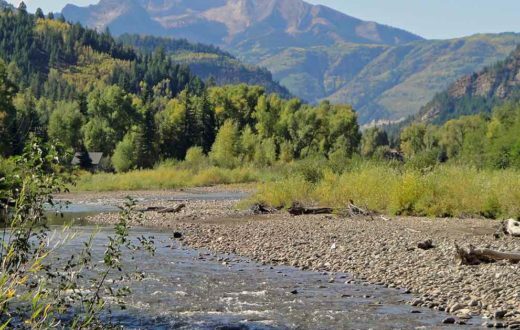 This project would restore urban trout stream habitat, provide whitewater and recreational kayaking opportunities, reveal the majestic Junction Falls Waterfall, and help pave the way for future river restoration projects.